a new All Souls novel about what it takes to become a vampire. Set in contemporary Paris and London, and the American colonies during the upheaval and unrest that exploded into the Revolutionary War, a sweeping story that braids together past and present. On the battlefields of the American Revolution, Matthew de Clermont meets Marcus MacNeil, a young surgeon, during a moment of political awakening when it seems that the world is on the brink of a brighter future. The shadows that Marcus believed he'd escaped centuries ago may return to haunt them both - for ever. 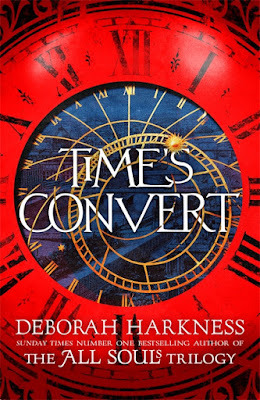 Time's Convert is an absolute gift of a story as not only does it allow us a tantalising glimpse into the de Clermont household as Diana and Matthew get on with their lives, but it also gives us the eagerly anticipated story of how Marcus Whitmore became part of the de Clermont family and of the long and complicated process that becoming a vampire entails, both for Marcus in the eighteenth century, and his girl-friend, Phoebe Taylor, in the twenty-first. 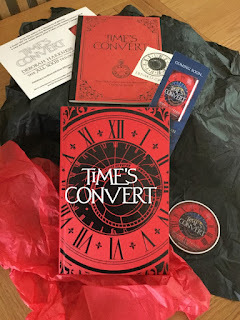 I found Time's Convert to be an insightful story, true, it carries all the trademarks of this author's ability to conjure a world within a world and there is much to identify it alongside previous stories in the series, and yet, there is less frantic action and more introspection, which I found fascinating. I loved how time was managed so that all the multiple story strands were given equal consideration so that none dominated and everything all flowed seamlessly from past to present and present to past. I was as captivated with Diana and Matthew's life at Les Revenants in Limousin, as I was in Phoebe's vampire transformation in Paris, and yet, it was Marcus’s story which absorbed my attention. Anyone who has read the All Souls series cannot fail to be intrigued by Marcus, the young vampire, who Matthew welcomed into the de Clermont family, but until now we have never been given more than a few interesting snippets into the background to his story, of the society that shaped him and of the puritanical birth family, in rural Massachusetts, who failed to nurture him. Set against the background of the American Revolutionary War, with all the inherent danger of conflict and disease, both the politics and the people come alive in the imagination. In 1781, Marcus is working as a surgeon's assistant with the Continental Army when he comes into contact with the enigmatic Matthew de Clermont. This momentous meeting will shape both of their lives forever, and observing just how Marcus’s life plays out within the wider scope of the story is what makes this book so fascinating. Deborah’s debut novel, and the first in the bestselling All Souls trilogy, A Discovery of Witches has been adapted by Jane Tranter’s Bad Wolf Productions for Sky One starring Matthew Goode (Downton Abbey/The Crown) and Teresa Palmer (Hacksaw Ridge) as well as Alex Kingston, Trevor Eve, Lindsay Duncan, Owen Teale and Louise Brealey. Teresa Palmer plays brilliant academic and historian Diana Bishop, a reluctant witch denying her heritage. 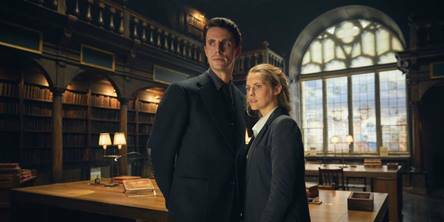 The discovery of a manuscript in Oxford’s Bodleian Library throws her into the heart of a dangerous mystery and into the path of enigmatic geneticist Matthew Clairmont played by Matthew Goode, an ancient vampire hiding dark family secrets. As Diana and Matthew embark on a journey to understand the significance of the mysterious manuscript and as their relationship develops and their heritage comes in to play, events threaten to unravel the fragile peace that has long existed between humans, witches, vampires and daemons. 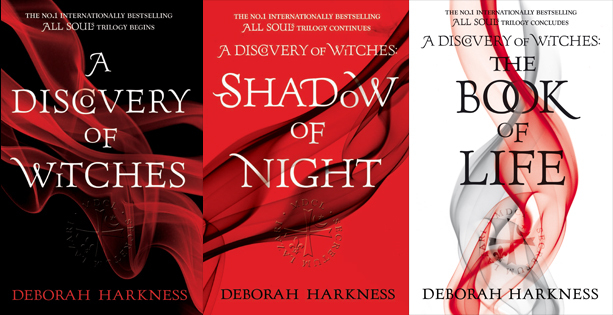 Deborah Harkness is the number one Sunday Times and New York Times bestselling author of A Discovery of Witches, Shadow of Night and The Book of Life. The trilogy has sold over 3 million copies worldwide plus foreign rights sales in over 38 territories. A history professor at the University of Southern California, Harkness has received Fulbright, Guggenheim, and National Humanities Center fellowships. 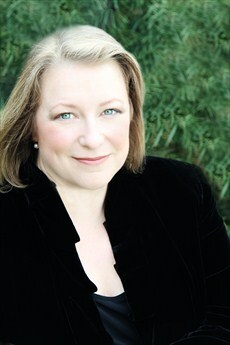 Deborah has 33K Twitter followers and 80K likes on Facebook.